You’ve taken the plunge and booked that first vacation with your baby – good job! The next step is to work out what you need to bring. Some things are easy. Obviously you will need diapers, clothes and hats. But what about a stroller? Should you take one? Would a carrier be better? My recommendation from my own personal travel with babies is to take both a lightweight, umbrella stroller and a baby carrier. A carrier is a great choice when you are going to be walking around places without good sidewalks and can make life a lot easier. However, it can also be very tiring to always be carrying your baby in a carrier. Many babies also struggle to get enough sleep in a carrier and it is tricky when you want to eat or sit down. Which carrier should you take? There are many options and if you already have one that you are comfortable with at home, then take that. The main thing is to get one that is suitable for your baby’s age, is compact to carry and will handle the climate that you will be visiting. If you are traveling somewhere hot, it is important to get a carrier that can handle hotter climates and won’t overheat both you and your baby. My personal favourite is the ergo. It can be used at the front or back so is suitable for a broad age range. There are many other great carrier choices though that you can check out here. Which stroller should you take? 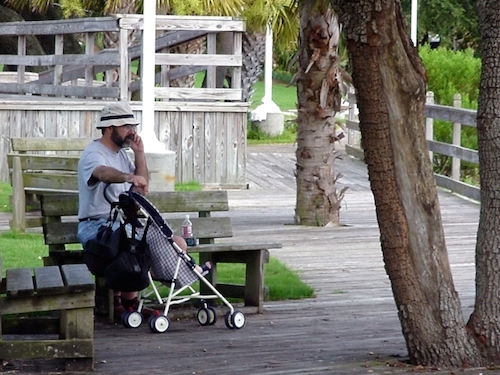 A carrier is handy, but a stroller can work better when you are out for entire days. It is far easier to push a stroller than to carry around your little one all day. A stroller means that your baby also has a bed for naps and somewhere to sit when you are eating. It is much more versatile than a carrier. For a vacation, it is important to take a compact, lightweight, umbrella stroller. You are going to need to carry around the stroller regularly so this is the time to leave your big strollers at home. If you are flying, compact strollers can usually be checked at the gate which means that you can also use your stroller to help you around the airport. I personally love traveling with a Maclaren Techno. It is relatively lightweight and suitable for all ages. To find the best choice for you, check out the best umbrella strollers here. Now that you have your carrier and stroller picked, you can be assured that getting around on vacation with your baby will be smooth and straight forward.